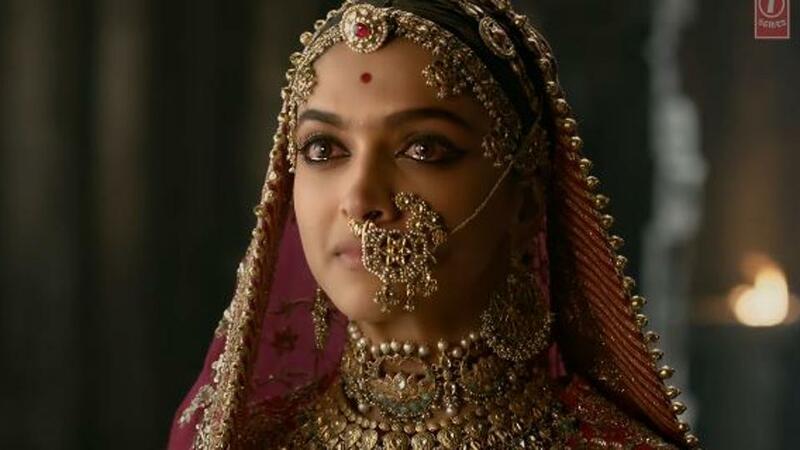 Home›ENTERTAINMENT›Padmavat review: A fitting tribute or an epic fail? For my money there is no contemporary filmmaker with the vision and velocity of Sanjay Leela Bhansali. The man makes every frame in his cinema seem like a wondrous timeless work of art. As in all his films there are visuals in Padmaavat that will be remembered for all times to come. And this is as opportune a time as any to salute Bhansali’s cinematographer Sudeep Chatterjee who is a magician, visionary par excellence who can put on screen images that poets and painters put into their creations when at the acme of inspiration. Almost every moment in the story that Bhansali tells of the royal Queen Padmavati and the invader who lusts after her, is pure magic. While the conflict between the two wives in Bajirao Mastani was conspicuously contoured, in Padmaavat Deepika’s Padmaavati barely manages to interact with her husband’s first wife (played by Anupriya Goenka). It is Padmaavati’s conflict with her invader and intended violator Allauddin Khilji which occupies centerstage in this rigorous drama of resonant historicity. On many occasions the historical facts are tampered with for the sake of edifying the essential conflict between the Queen and her invader. Deepika Padukone and Ranveer Singh bring an exquisite operatic duet-like feeling to their parts. Though they sing the same song from different scales,they are like the earth and sky never destined to meet. The climax with all of the Rani’s female entourage fighting off the advances of Khilji by hurling hot coal bricks on him, is a reverberant homage to Ketan Mehta’s Mirch Masala. Remember Naseruddin Shah’s moustache-twirling subedaar in Mehta’s film lusting after the feisty Sonbai (Smita Patil)? Bhansali’s Padmavati echores Sonbai with heartening whoops of joy. Indeed this is a film that pays a homage to the greatest filmmakers of the country Raj Kapoor and K. Asif and succeeds in going beyond the vision of these two filmmakers. The sequences at the end of the film featuring Deepika Padukone and a bevy of women all wearing flaming-red, will stay with you for a very long time. I am afraid Shahid Kapoor as Padmavati’s husband seems a little shaky in his attempts to counter Ranveer’s psychotic Khilji with regal restraint. But there is no dearth of bravura acting in Padmaavat. While Ranveer and Deepika as antagonists rip the screen part, two other actors Jim Serbh and Aditi Rao shine in smaller roles bringing to their part as Khilji’s manipulative toy-boy and idealistc wife, a strong sense of a back-history that belies the length of their roles. Padmaavat is a work of illimitable splendor. The 3D format seems quite an unnecessary grandeur-enhancement device. When we already have so much to savour and imbibe why hanker for more? This is a movie so epic in proportion it stands tall among the great films of all time about love and war. In Bhansali we have our own David Lean. Padmaavat proves it.